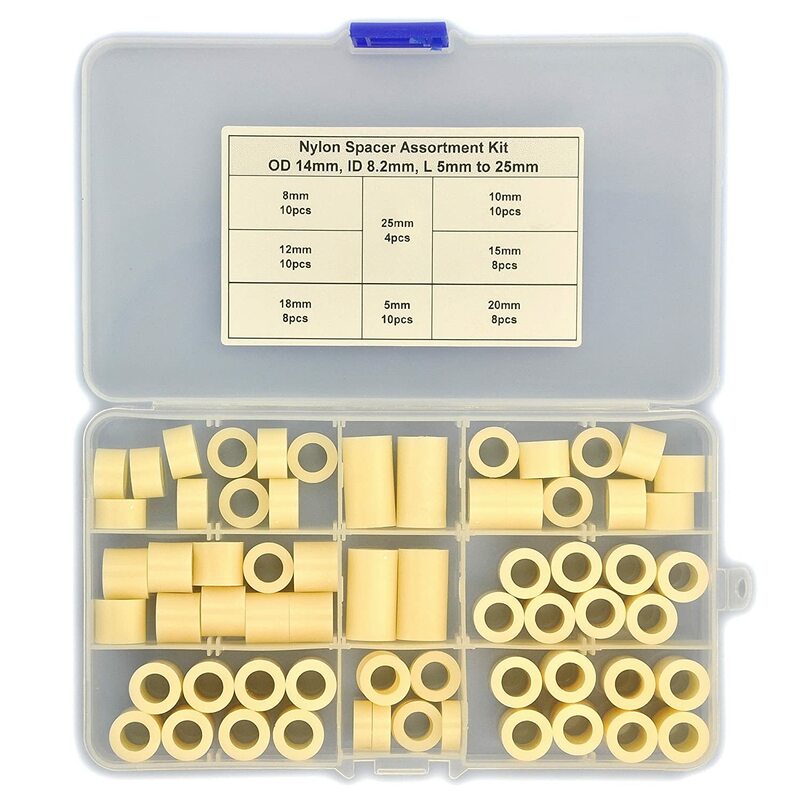 Electronics-Salon Nylon Round Spacer Assortment Kit, for M3 Screws, Plastic. 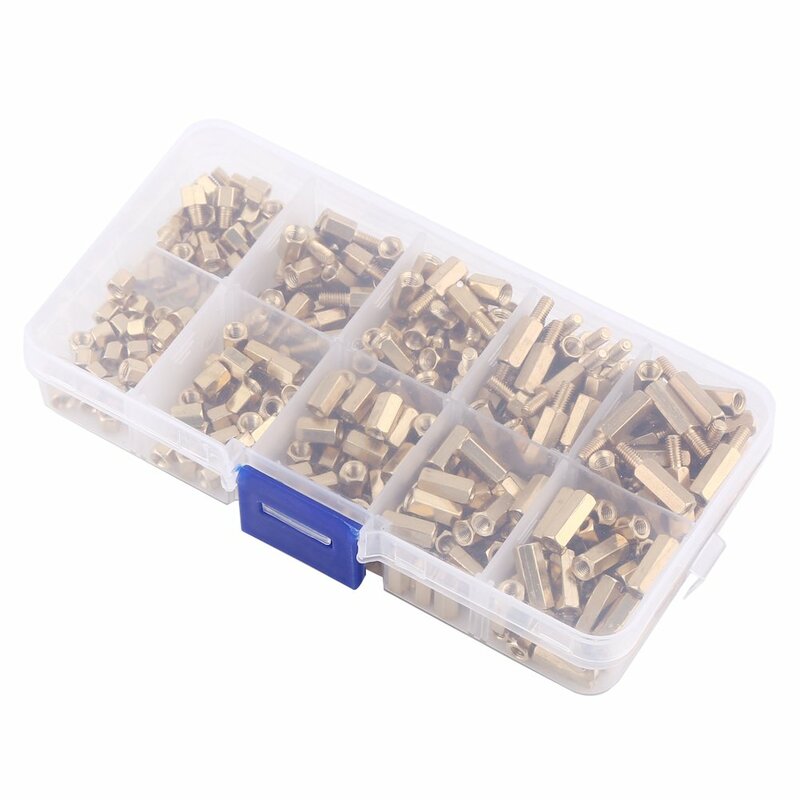 Electronics-Salon 50pcs 25mm Threaded Metric M3 Brass Male-Female Standoff, Spacer. 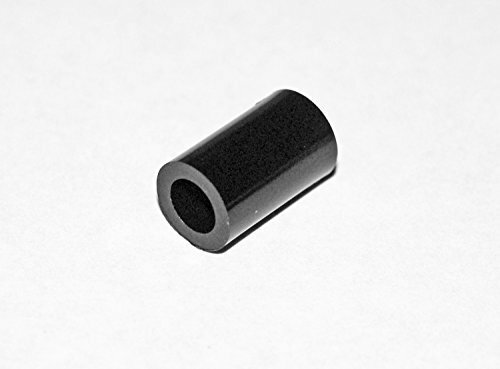 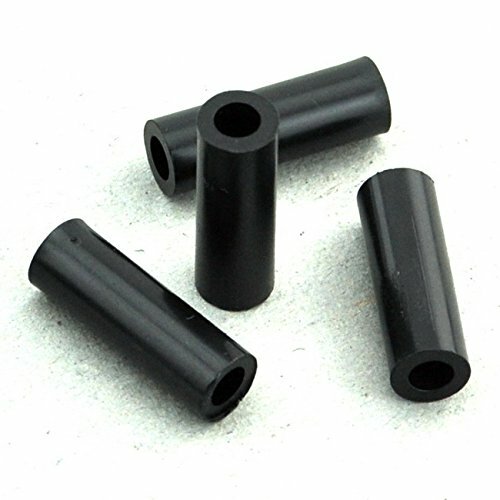 Electronics-Salon 100pcs 21mm Black Nylon Round Spacer, OD 7mm, ID 4.1mm, for M4 Screws, Plastic. 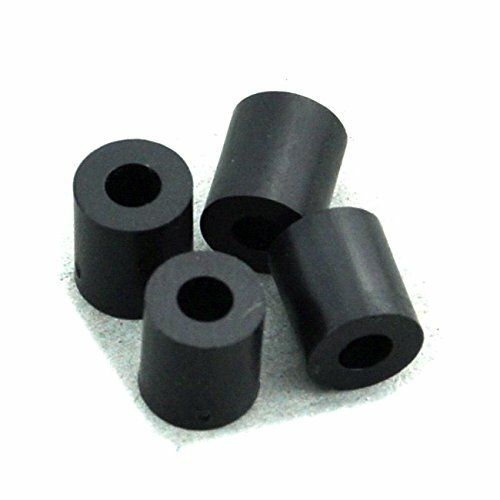 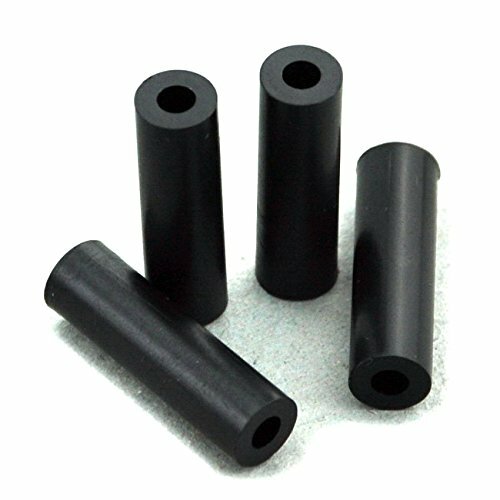 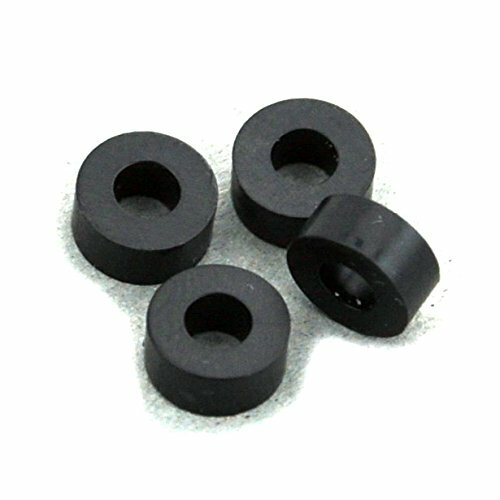 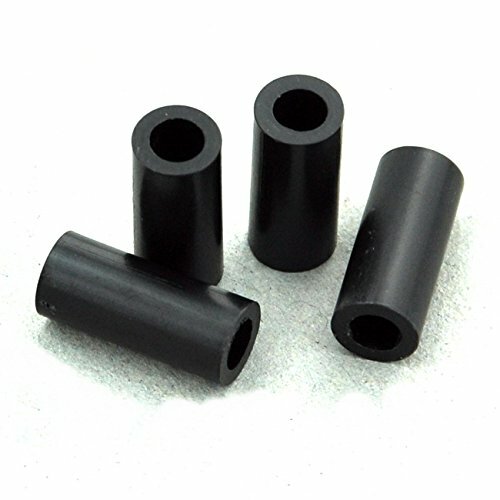 Electronics-Salon 100pcs 16mm Black Nylon Round Spacer, OD 7mm, ID 4.1mm, for M4 Screws, Plastic. 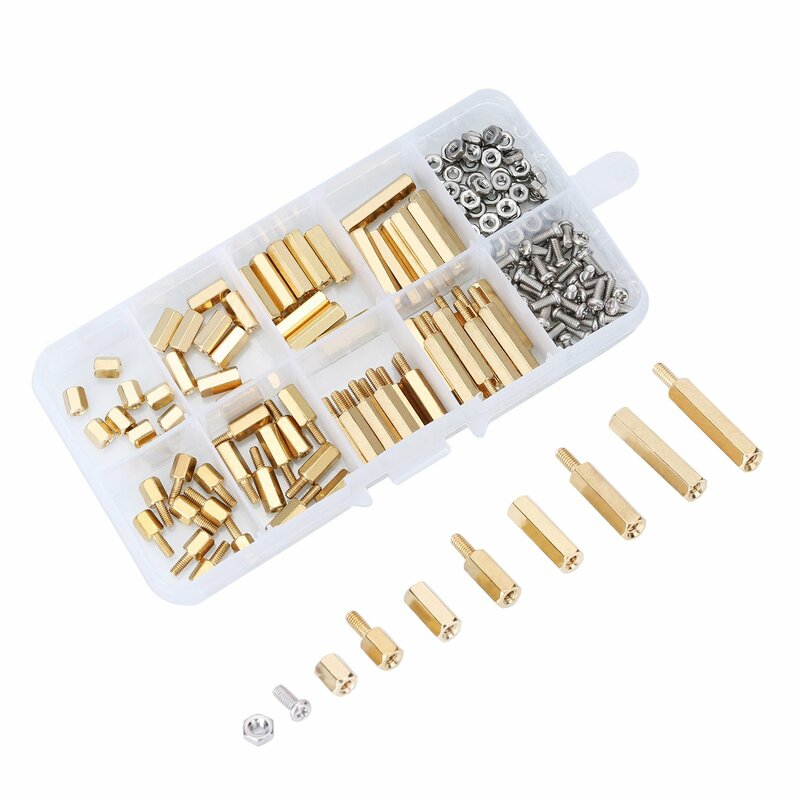 Electronics-Salon M2 Brass Male-Female Standoff Screw Nut Assortment Kit, Standoff 3mm 5mm 8mm 10mm 12mm 15mm 18mm 20mm 25mm, Nut M2, Screw M2 x 4mm. 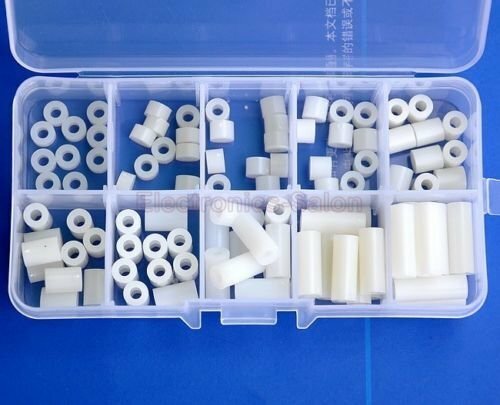 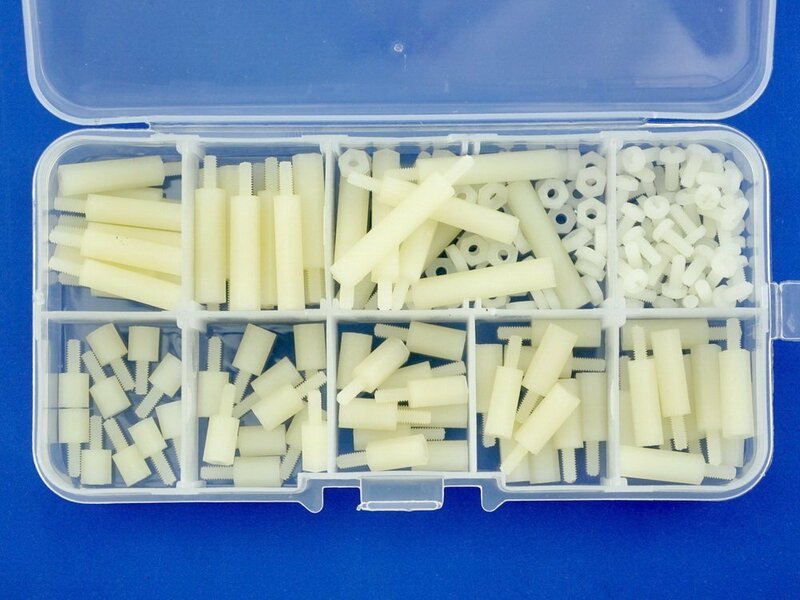 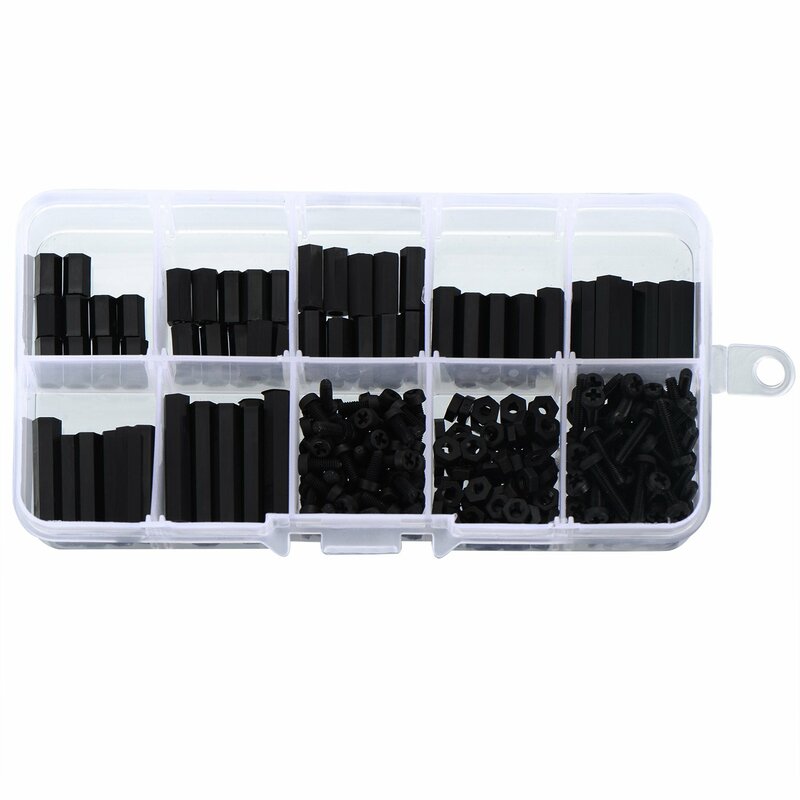 Electronics-Salon Plastic Round Spacer Assortment Kit. 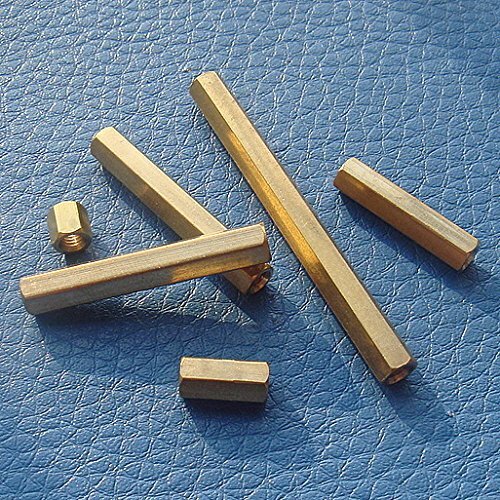 OD 14mm, ID 8.2mm, L 5 to 25mm, for M8 Screws. 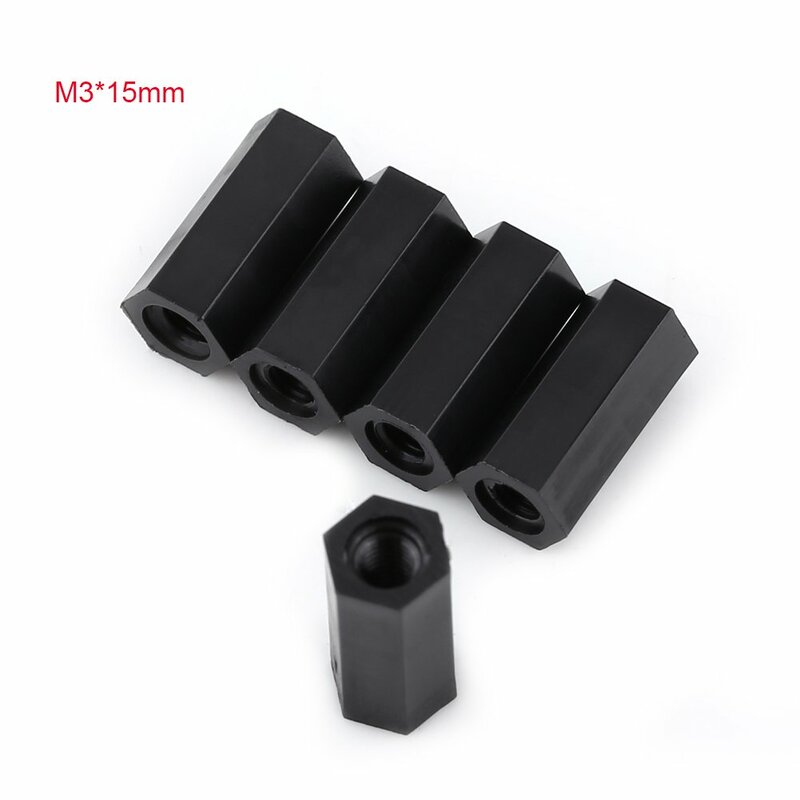 Length 5mm 8mm 10mm 12mm 15mm 18mm 20mm 25mm, Plastic ABS Standoff. 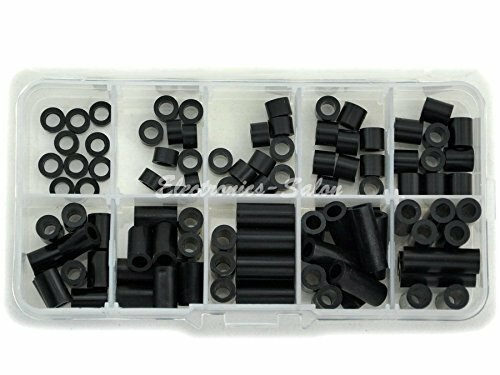 Electronics-Salon M3 Nylon Black Hex M-F Spacers/ Screws/ Nuts Assorted Kit, Standoff. 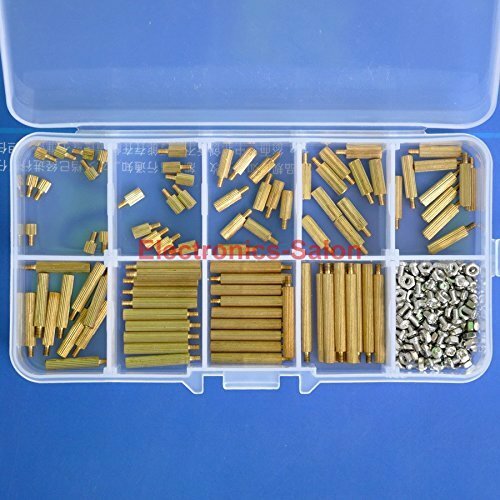 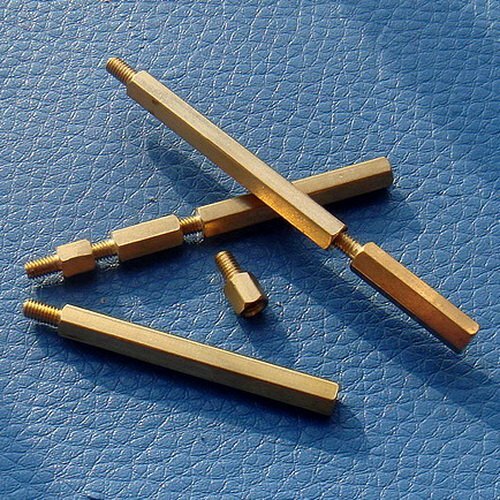 Electronics-Salon 50pcs 20mm Threaded Metric M3 Brass Female-Female Standoff, Spacer. 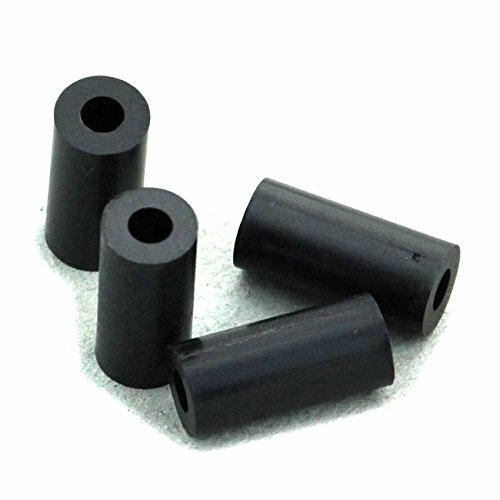 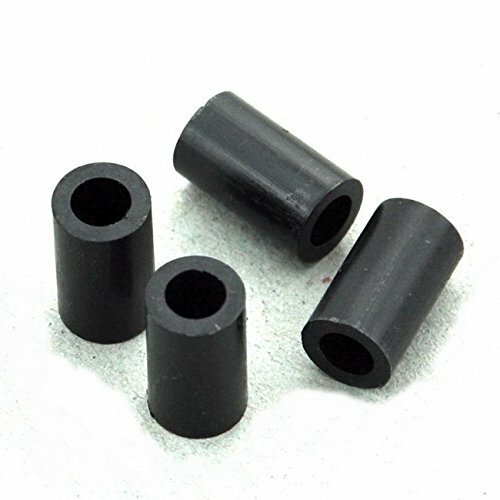 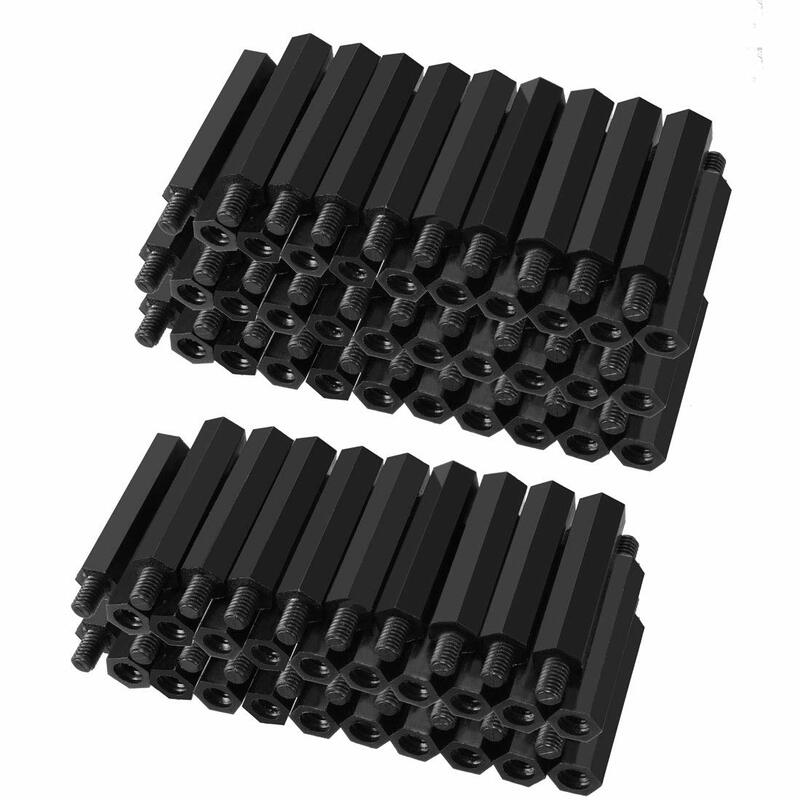 Electronics-Salon 100pcs 12mm Black Nylon Round Spacer, OD 7mm, ID 4.1mm, for M4 Screws, Plastic. 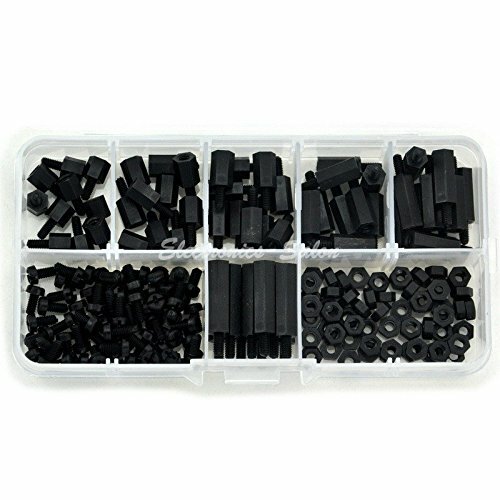 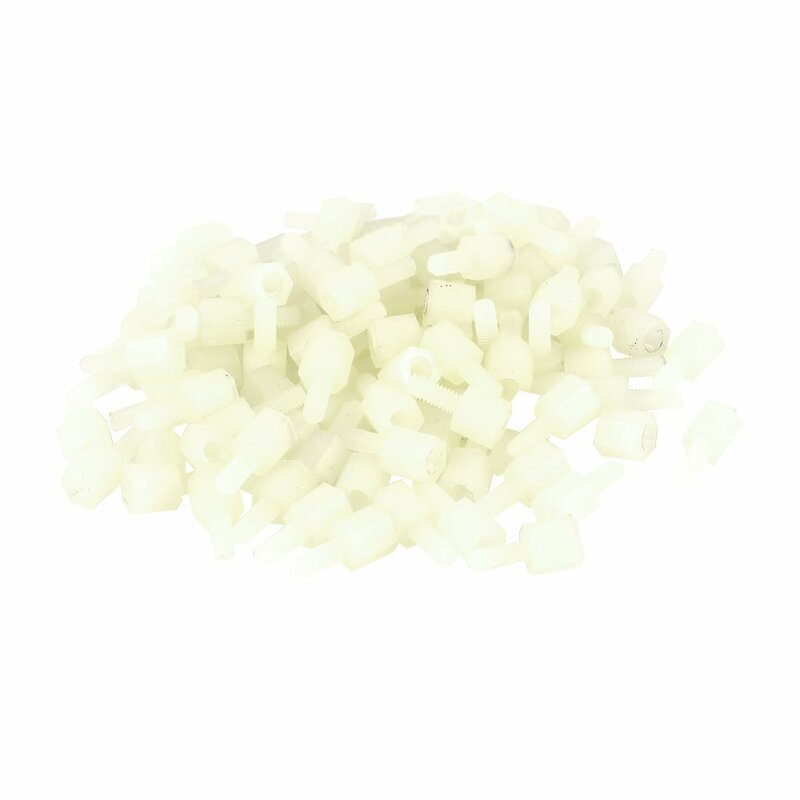 Electronics-Salon M2.5 Nylon Hex M-F Spacer/Screw/Nut Assorted Kit, for Raspberry-Pi, Standoff.